Norwesco 210 Gallon Truck Bed Tank, part# 40300, is a liquid transportation tank that fits in most standard truck beds. It's primary used for the transportation of water, chemicals, and fertilizers (specific gravity rating of 1.5). This plastic truck bed tank was created with FDA approved virgin polyethylene resin that is food-grade and safe for drinking water. 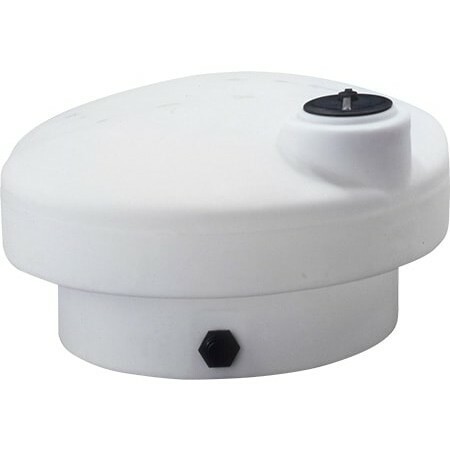 The tank complies with the U.S. Food and Drug Administration regulation 21 CFR 177.1520 (1) 3.1 and 3.2 for the storage of potable water. This Norwesco tank is also available in 425, 305 and 325 gallon sizes. A 3 year manufacturer warranty is available for this tank. The National Tank Outlet is ready to help you with your liquid transportation needs. Contact our sales team or customer service with your questions about this truck bed tank.